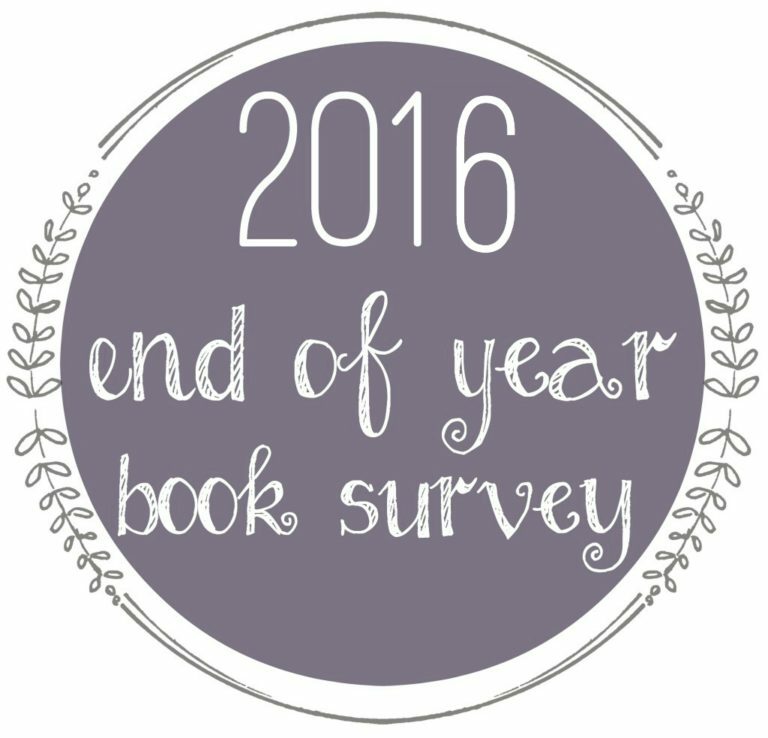 Thank you to Jamie at The Perpetual Page-Turner for hosting this fun end-of-year survey! Over half was some form of sci-fi/fantasy, but the real surprise was the HUGE jump in romance. 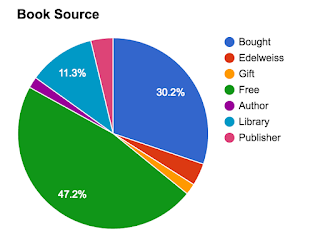 Apparently, my reading habits go wacko during law school semesters. And pretty much all my Ilona Andrews reads. Pretty much all my Ilona Andrews reads. Kate Daniels, probably because I read 5 books in her series this year. I can't really think of one...fail. Simon and Meg don't have a typical relationship, but there's potential there for...something. 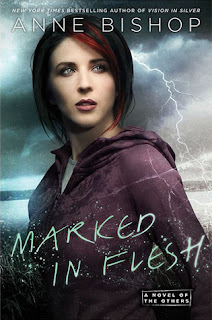 I loved Marked in Flesh and the 5 Kate Daniels books, but I've mentioned them a lot already, so here's another sequel I really liked. 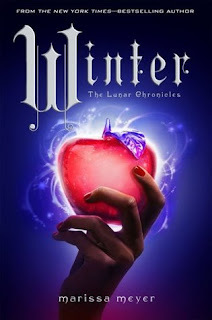 Anya at On Starships and Dragonwings recommended this a while back, and I'm glad I finally got to read it. It's a fun middle grade with adorable illustrations and a great adventure story about stories and writing. 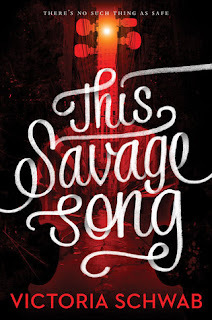 Turns out I hardly read any debuts this year, but this was fun. 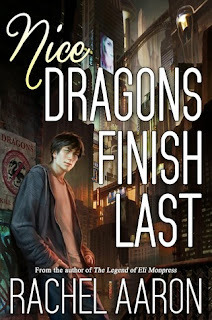 A bunch of series continuations have the advantage of world building over several installments, so I picked a new series that had to start from scratch in my mind. There were a lot of ebook freebies I was surprised to somewhat enjoy, but no one stands out. I went in expecting a fiery, independent protagonist and got a broken, abused girl who literally did nothing. She was the ultimate damsel in distress, and I couldn't understand why the love interest liked her, much less did anything else for her. On the bright side, I read more than I thought I would. On the dark side, a lot of it wasn't great. :P Oh well. We'll get 'em next year! 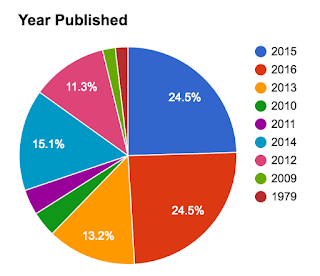 Almost everything I read was published in the last 5-6 years. There are a few old backlist books I still need to get to, but there are a ton of recent books I want to read next year, too. 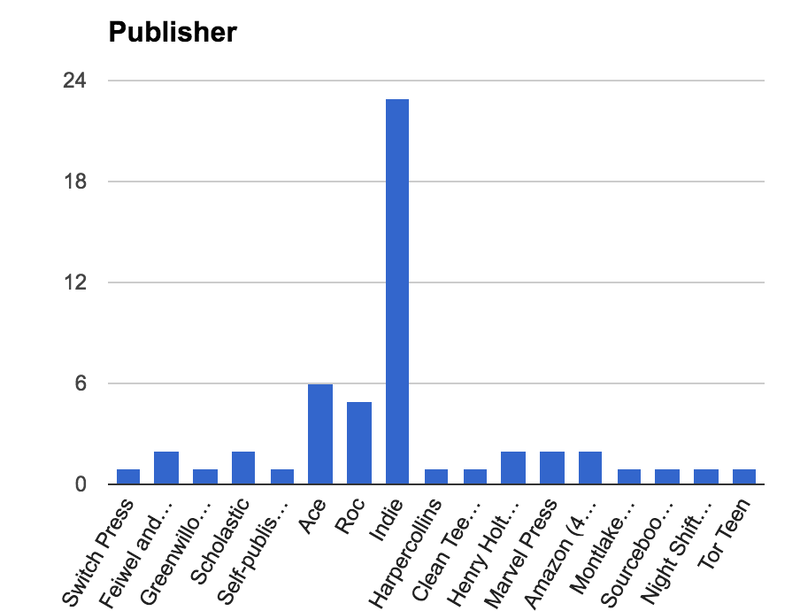 I was surprised by how many indies I read this year. 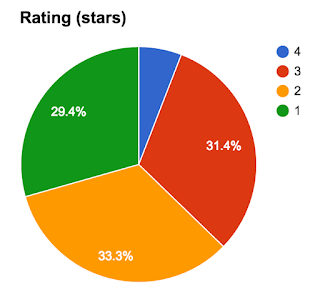 Granted, most of them were free ebooks (and a lot of them were 1 or 2 stars), but there were a few pretty good ones. 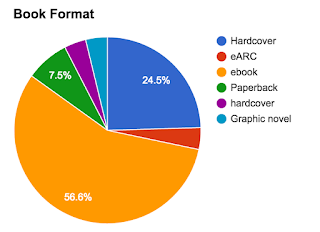 I love me my print books, but I developed a habit of reading ebooks on my computer. They were handy and easy to access when I needed a study break. I'm not really surprised. 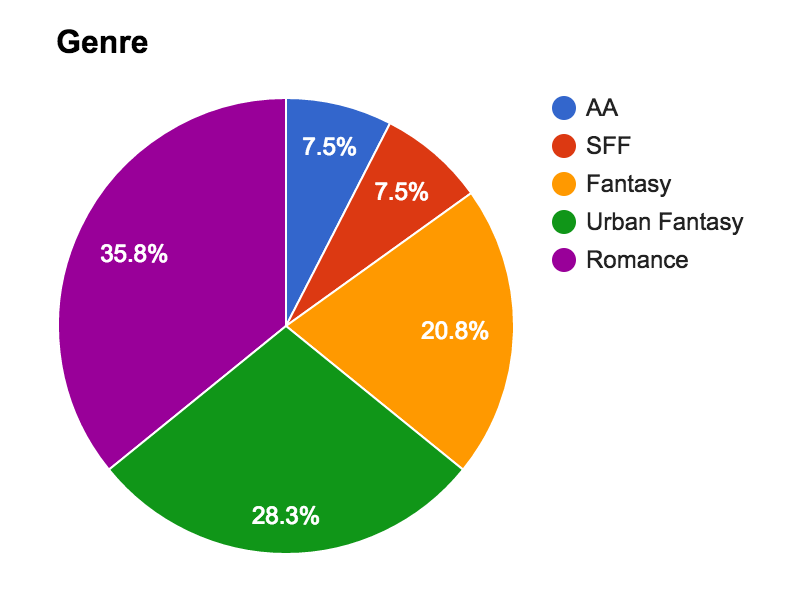 I think a lot of it is the genres I read. I think there happen to be a lot more women writing YA, romance and urban fantasy? 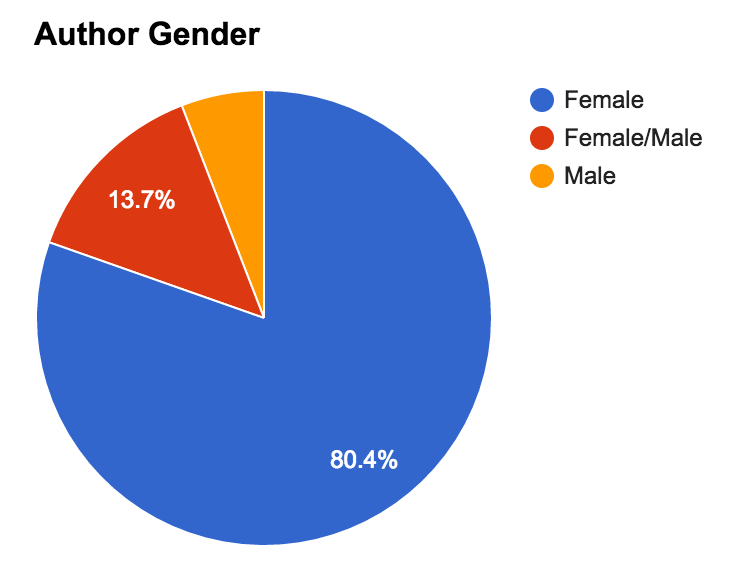 I remember someone saying back in the day that boys and girls read Harry Potter, but fewer boys would have tried it if the protagonist was a girl and/or the author was readily identifiable as a girl. 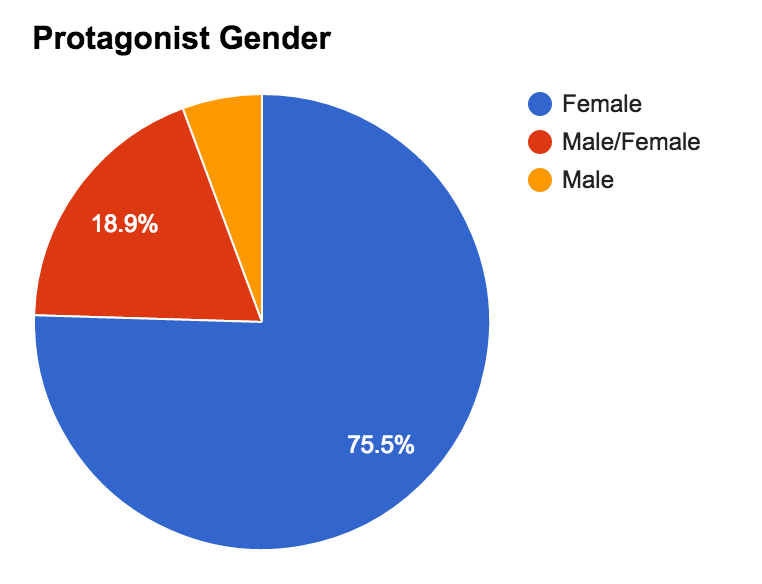 Again, I think the results here have a lot to do with the majority of protagonists in YA, romance and urban fantasy being women, but it's interesting to see. What were the best/worst books you read this year? Did anything surprise you? That's it for 2016! I'll see you all in the new year! 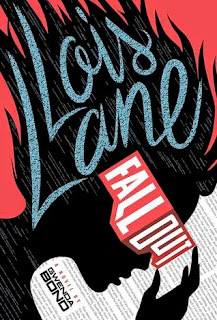 I need to read these books, lol. They look awesome :) Glad you enjoyed so many! Happy New Year and may it be a great one! Thank you, Amy! Jamie definitely created a fun survey (though I had to skip the last two sections because my life is all over the place with school ^^). 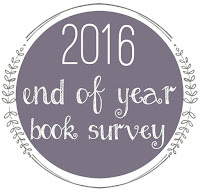 Happy reading in the new year!